Dynamic Systems: Modeling, Simulation, and Control - Heimkaup.is – Matur, raftæki, snyrtivörur, bækur, íþróttavörur, leikföng og sjónvörp. Allt sent heim samdægurs. 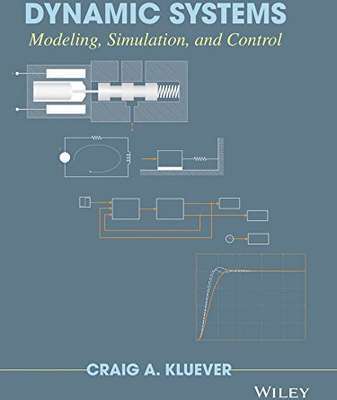 Wiley introduces a new offering in dynamic systems--Dynamic Systems: Modeling, Simulation, and Control by Craig Kluever. This text highlights essential topics such as analysis, design, and control of physical engineering systems, often composed of interacting mechanical, electrical and fluid subsystem components. Dynamic Systems: Modeling, Simulation, and Control is intended for an introductory course in dynamic systems and control, and written for mechanical engineering and other engineering curricula. Major topics covered in this text include mathematical modeling, system-response analysis, and an introduction to feedback control systems. Dynamic Systems integrates an early introduction to numerical simulation using MATLABs Simulink for integrated systems. Simulink and MATLAB tutorials for both software programs will also be provided. The author’s text also has a strong emphasis on real-world case studies.